Go on this invigorating journey where you will have to escape from a massive volcanic eruption. Situated in the Pacific Ocean, the islands of Polynesia are not as tranquil as their fine, white-sand beaches would have you believe. 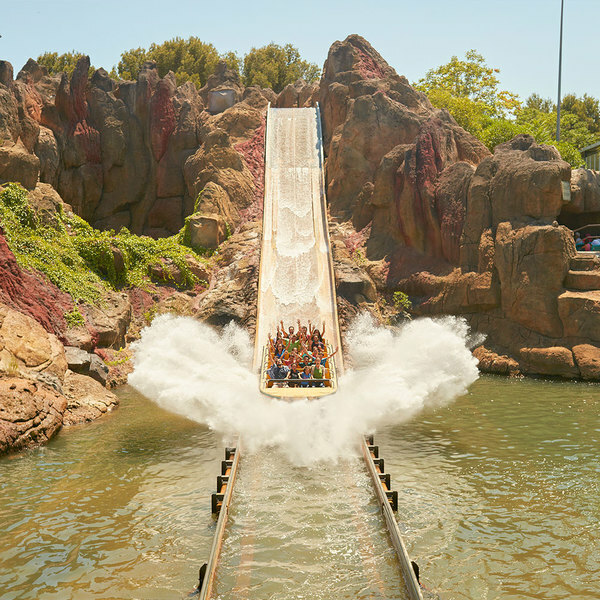 Hidden in the heart of the Polynesia PortAventura jungle, a place only known by island natives, one of nature's most devastating forces lies sleeping: a formidable volcano that is about to stir from its long slumber. Brave the volcano on board a barge and travel over waters with plenty of hidden surprises in store. 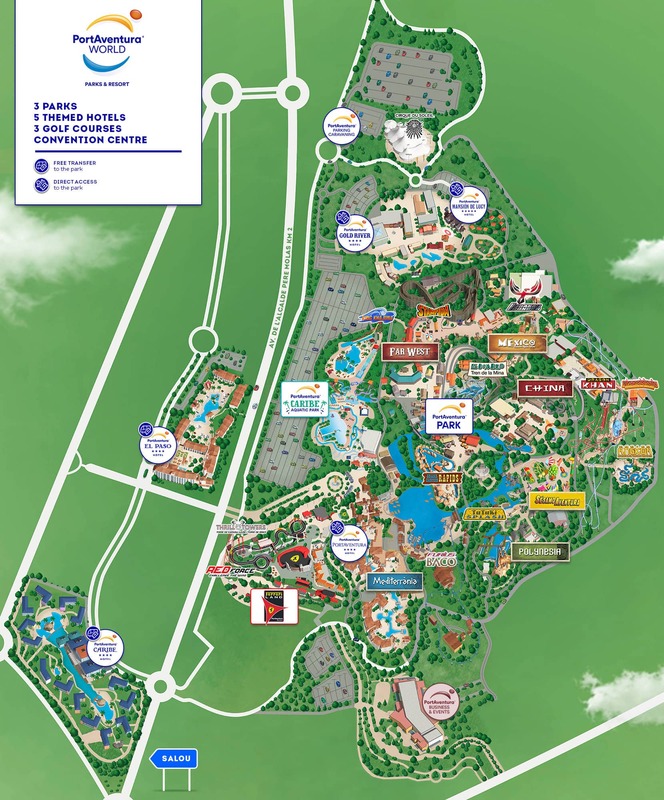 Welcome to one of PortAventura Park's most sensational rides! 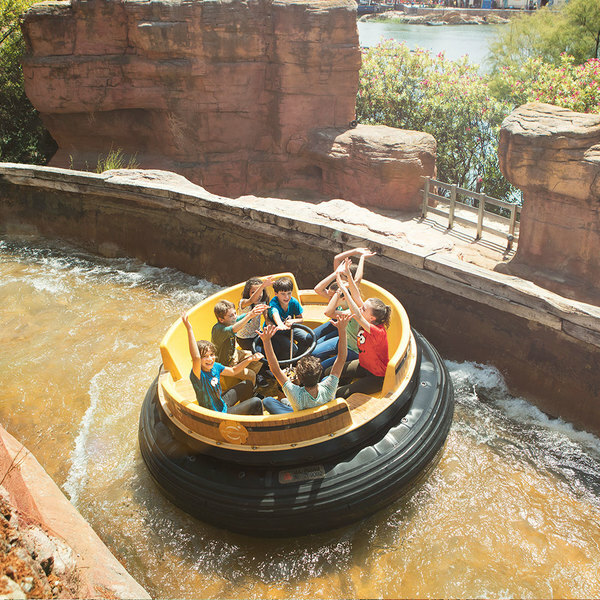 Did you know that the Tutuki Splash ride is based on an ancient ceremonial ritual? Tutuki Splash symbolises a ceremonial ritual in honour of the goddess Pele, which took place on nights with a full moon. All of a sudden the beautiful melody is drowned out by the roar of Tutuki Splash. A dizzying descent from the summit of a volcano down into the lake. It commemorates a ceremonial act performed by island natives in honour of the goddess Pele on nights when the moon was full. Tutuki Splash reaches a speed of 56 km/h and displaces more than 1,000 litres of water on its way down. Kontiki is another of Polynesia's star attractions. This faithful reproduction of a canoe used to transport travellers gradually rocks and sways until it tips at almost 180°, thrilling visitors by taking them to dizzying heights. Use your water gun to shoot down all the obstacles in your path as you cross the jungle and step ashore a real hero. 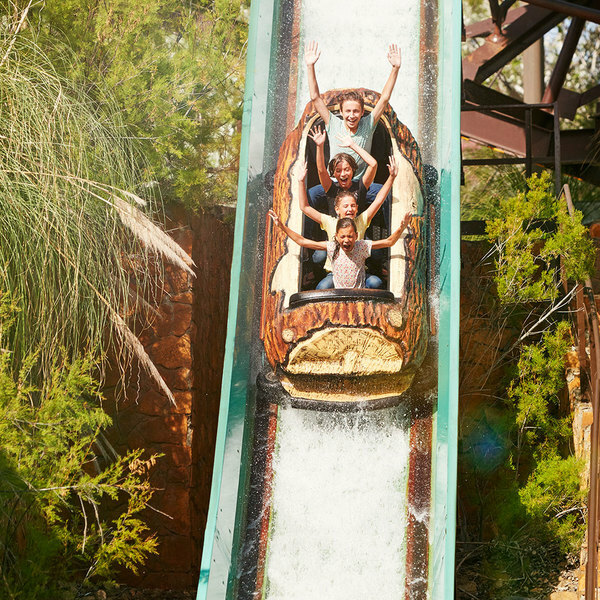 Get on a fun felled log and cool down on an entertaining road to the PortAventura World sawmill. 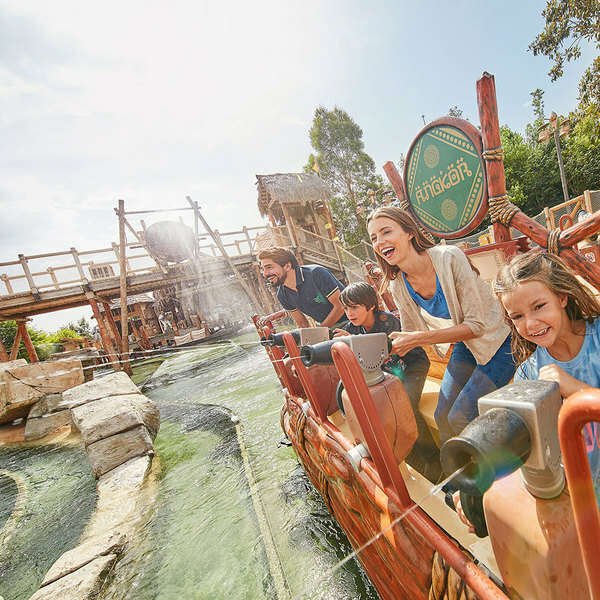 Cool off as you ride the rapids of the wild Colorado River in this hilarious attraction of the Far West world of PortAventura.